Can anyone be an Exhibitor? Is everything outdoors or is there stalls under roof? There will be a number of stalls inside the main building. There are Tents available for outside exhibitors who wish to be close to the water’s edge or close to the family area. Exhibitors can bring their own gazebos and tents for their stalls. What activities are there for Anglers? 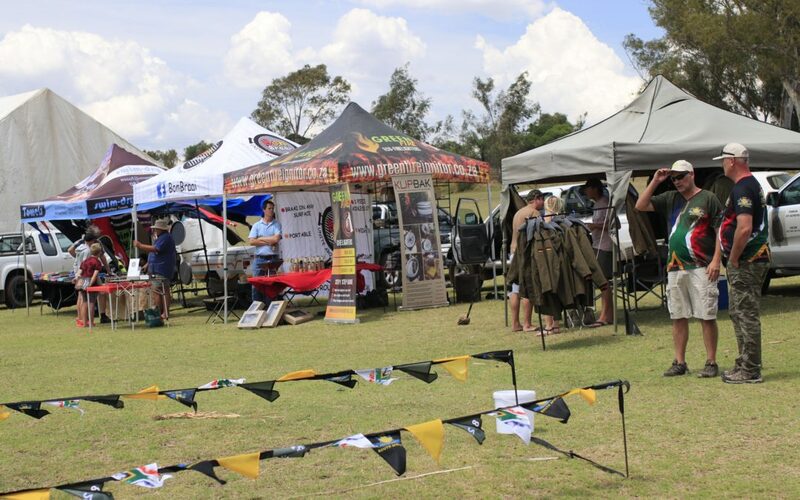 Anglers are all invited to join the many demonstrations and talks around the dams at various exhibitors. Special guests will be doing workshops on various topics throughout the expo. Anglers can also participate in various casting and bait lure demos. What activities are there for Kids? The kids will be well catered for in the Family area where there will be a large play area, swimming pool, trampolines and join in activities like face painting, etc. Will there be any competitions? Get there early to catch all the amazing daily special offers and give aways ! Take the M5 Zwartkop offramp. Look out for Gnu-Valley and Fishing Festival signage on the Eastern (right) side of the road. Turn onto the dirt road, and follow where it turns left. Travel for about 1/2 km to Gnu-Valley gate. Now follow signal to designated parking area.